The USDJPY had a bearish momentum yesterday bottomed at 108.57 and hit 108.47 earlier today in Asian session. The bias is bearish in nearest term but note that 108.50 – 107.50 region remains a key support and good place to buy. Immediate resistance is seen around 109.35. A clear break above that area could lead price to neutral zone in nearest term testing 109.70 resistance area. Overall I remain neutral. In the previous EUR/USD forecast we noted that the currency pair was bullish and the immediate resistance was 1.3680. Should it manage to push further, 1.38 may be next. From a fundamental point of view, the drop in euro zone unemployment rate together with other positive developments increased the appeal of the euro currency. Looking at the EUR/USD daily chart above we note that the currency pair continued it’s bullish momentum. 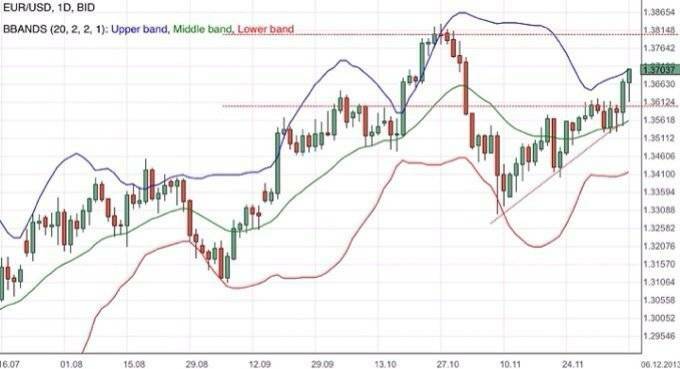 As of now it has passed the immediate resistance of 1.3680 thus opening up the possibility of 1.38. I have plotted a trend line to highlight the bullish nature of the currency pair for now. Having said so, you have to exercise prudence and always be ready for any changes.